I just spent 11 days in the midst of summer in Fortaleza, the North East of Brazil. Since none of us was familiar with this city and had no references whatsoever, it was up to us to explore Fortaleza and find the hidden gems. 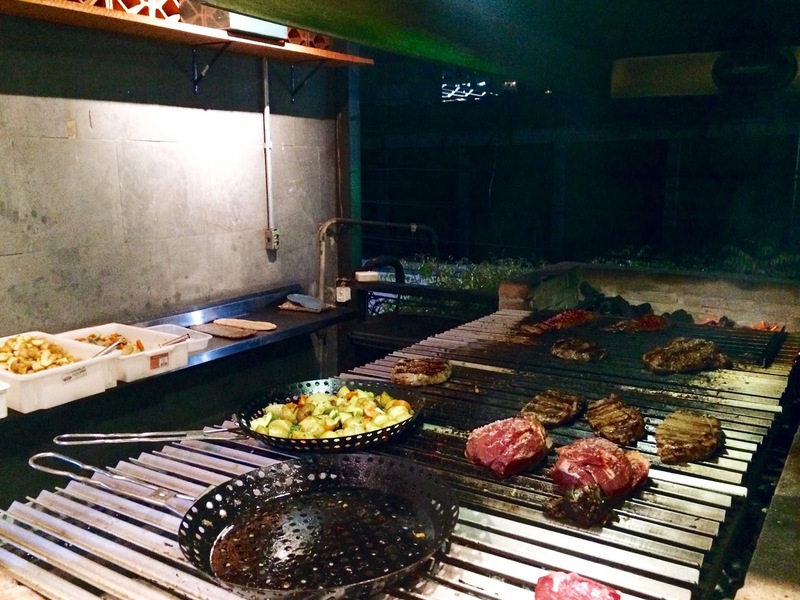 One night, we discovered a little gold-mine in terms of restaurants, in the area around Rua Prof. Dias Da Rocha. Cort is also located on this street, and the moment we passed by it with the taxi, we knew we had to come back. And so we did. Three times! You could say we were practically regulars by the end our trip. Cort is a concept I have never heard of or seen before. 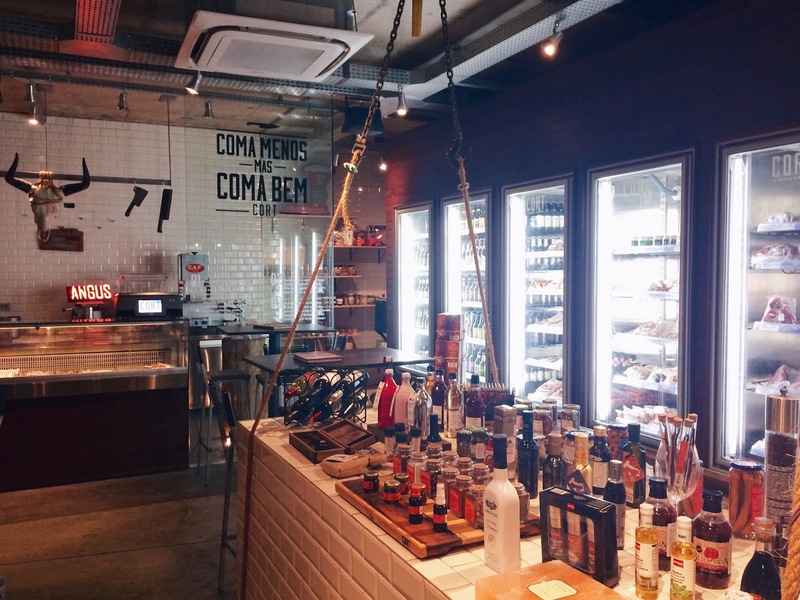 It's actually a little butcher and deli store, primarily focused on high-quality meats (such as Kobe beef and Wagyu coming from Uruguay). The special thing about Cort is that it transforms into a bar/restaurant, three nights a week (Wed-Thu-Fri). The deli remains the same, but the open-air roof terrace on the first floor turns into a true meat and gin lover paradise. The concept is simple; you choose your preferred meats and cuts in the store downstairs (with the expert help of the chef) and take it upstairs, where the grill master turns it into the perfect sharing meal, accompanied by some simple grilled vegetables and potatoes. 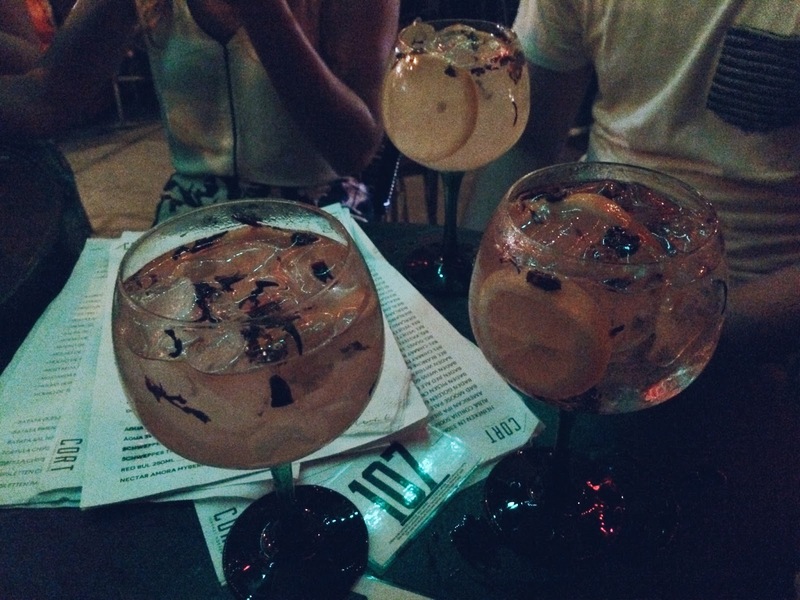 Order your speciality beers or gin & tonics from the super helpful staff and you're set for the evening! 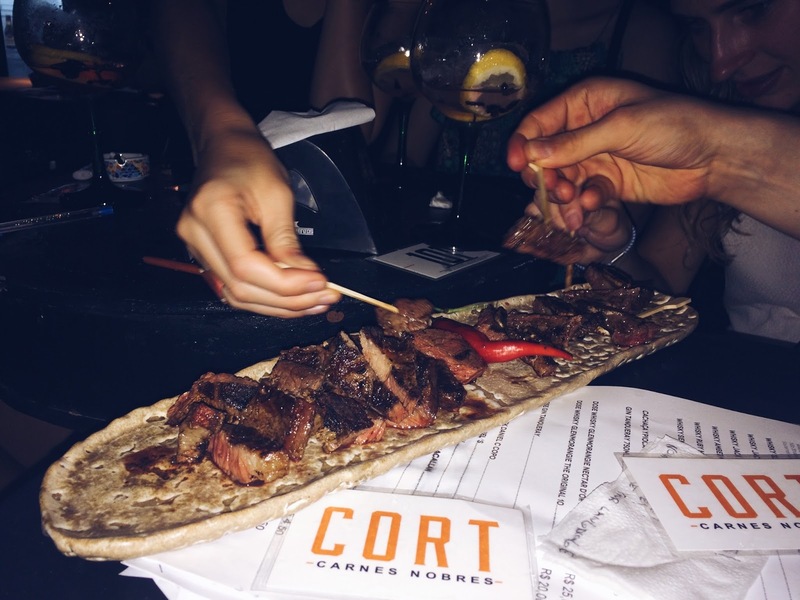 Even if you're not hungry, Cort is perfect for a delicious gin & tonic or a cold beer. Since the terrace is quite small, there's a really nice vibe. It's mostly locals who come here, and they're not shy to start a conversation, so you might even make some new Brazilian friends! The owner, the chefs, the bartender and the staff are all incredibly kind and make you feel right at home, which for me is the most important thing in a restaurant/bar. Nothing feels forced, just very spontaneous, charming and #goodvibesonly. Just how I like it! Because the guys were crazy about the meat here, we ended up going to Cort three times in the 11 days we were in Fortaleza. Cort has just celebrated its 6-month anniversary, so it's still a relatively new concept. I hope this message reaches all who are going to Fortaleza; you don't want to miss this!